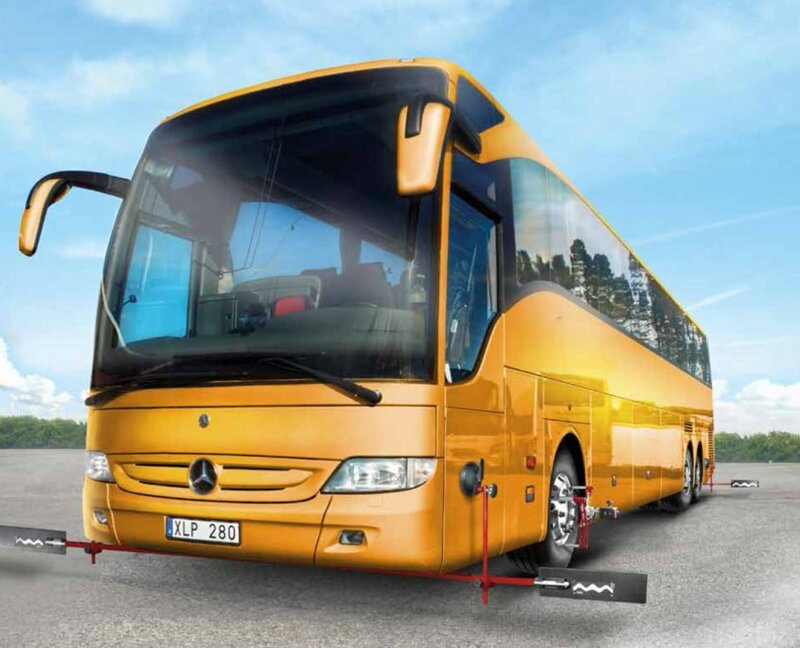 Bus & Coach Wheel Alignment. 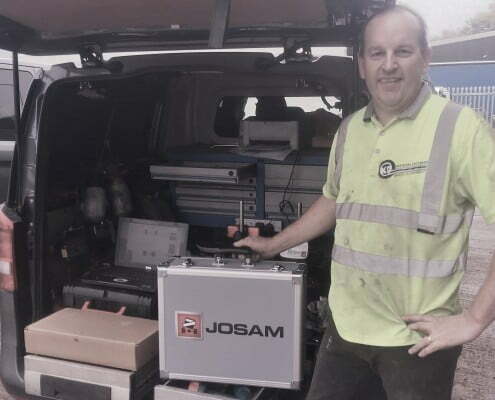 The Josam Cam-aligner system enables coach and bus workshops, as well as maintenance centres, to offer wheel alignment services quickly and accurately. trucks, semi-trailers, tractor units, semi-trailer trucks. 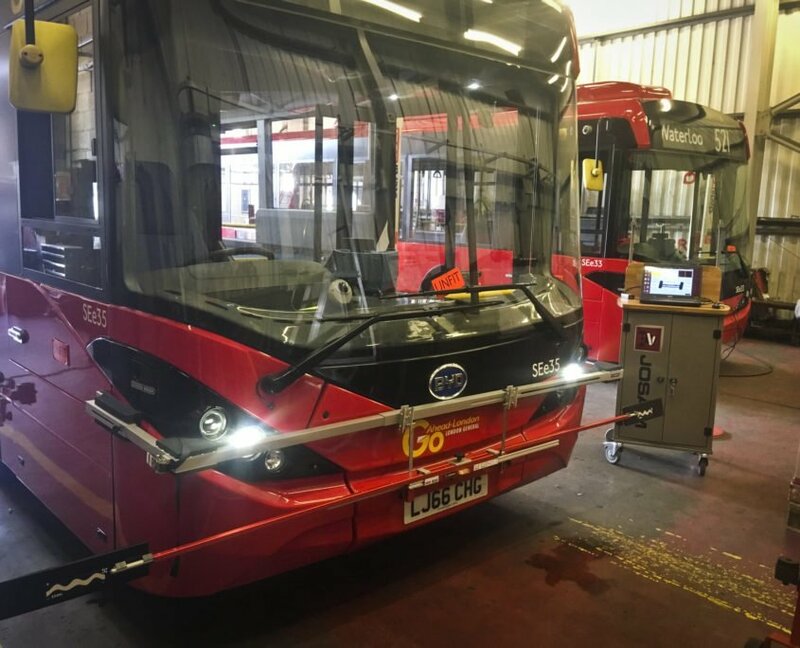 buses (diesel, hybrid, electric) and coaches. 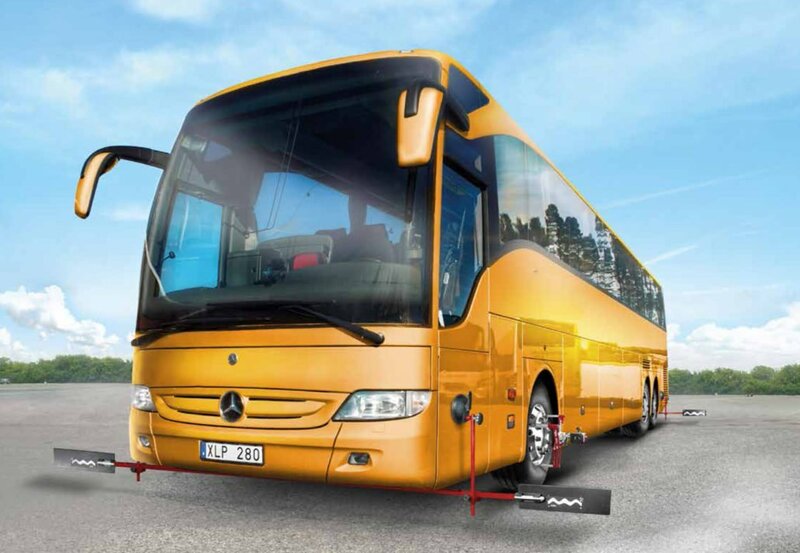 Compatible manufacturers include Scania, Mercedes, MAN and Volvo/Renault. 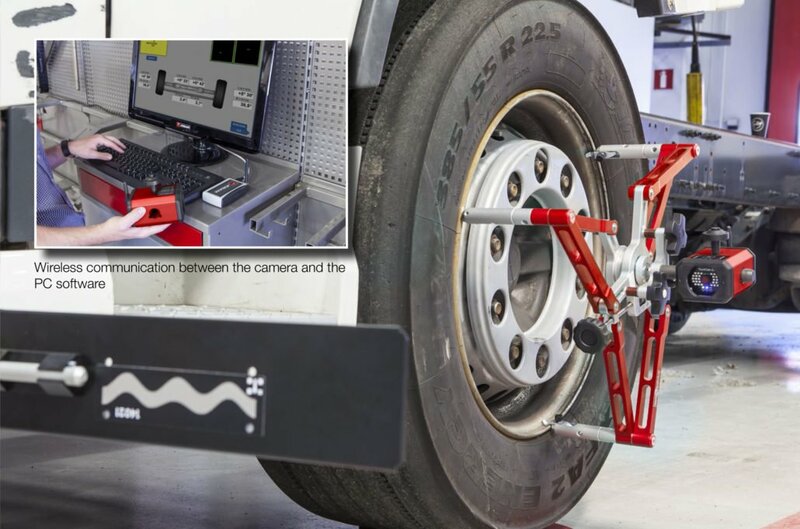 This compact wheel alignment system enables bus and coach workshops, as well as tyre service centers, to offer wheel alignment services quickly and accurately. Toe, camber, steering box middle, out of square, parallelism and axle offset. Caster, KPI, toe out on turns and max turn. 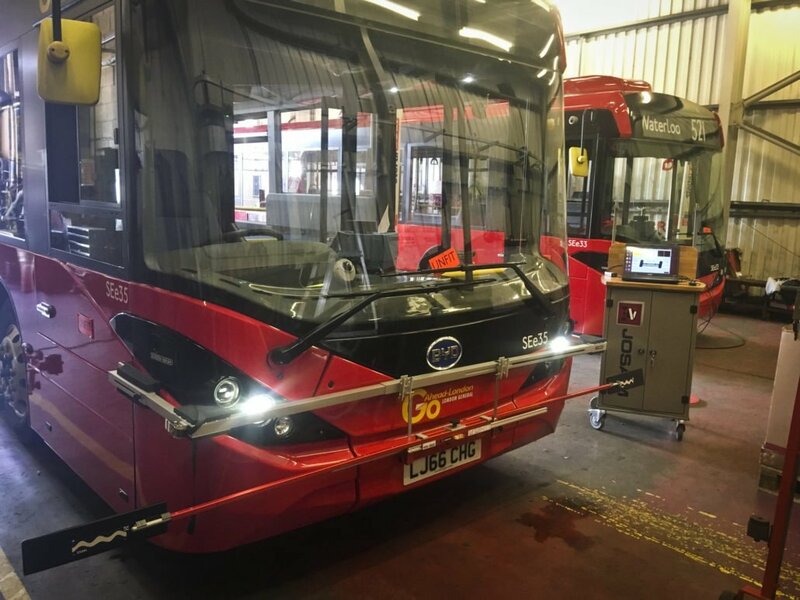 Also a Gyro mode for setting turn angles. 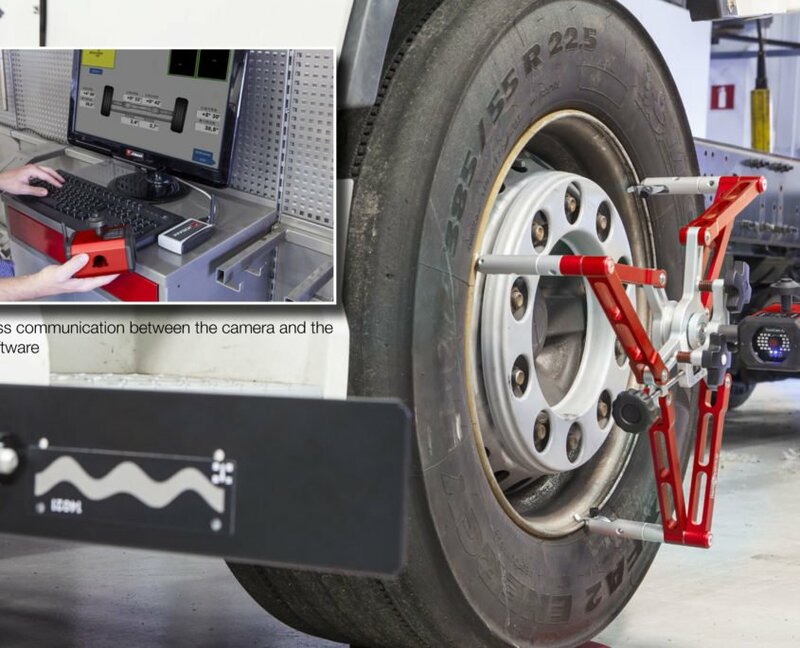 are measured using our patented camera technology with the chassis center line of the vehicle as a reference. 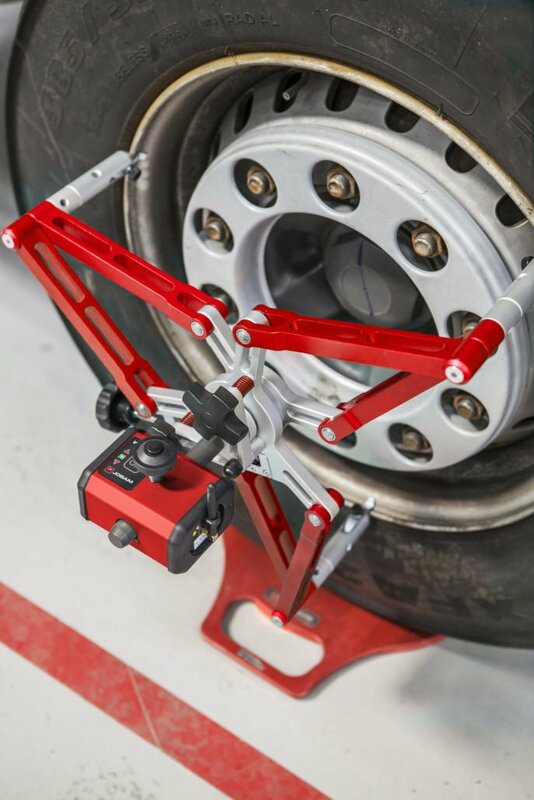 Enabled by the unique rolling method, toe, camber and out of square measurements may be taken while the vehicle is in driving position. 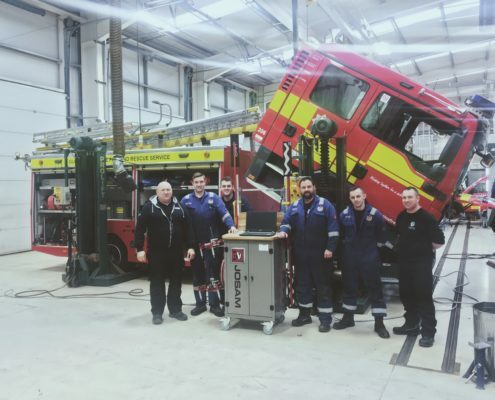 No lifting of the axles with run-out compensation is required, alternatively the system can also be operated with standard run-out procedure. Wireless technology is used for transmitting data between measuring units and the computer. 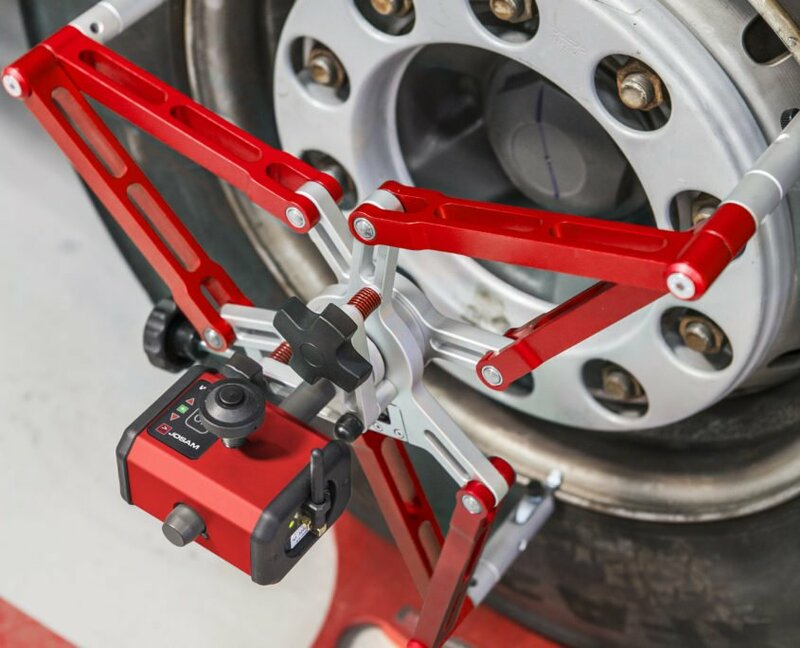 The computer software easily guides the user through the measuring process, and prints out reports of the before and after alignment.